Nettops didn't start out as elegant, good-looking pieces of technology, but have they definitely evolved in that direction, as the newest model from Micro-Star International more than clearly shows. 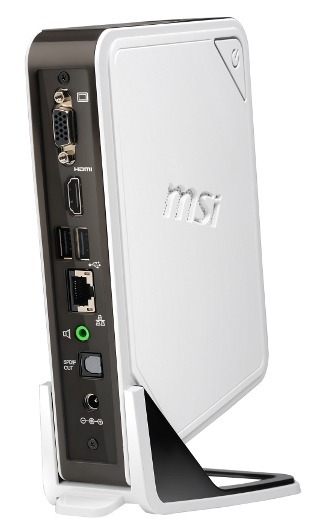 Granted, it falls to each person to decide for themselves what they feel is aesthetically pleasing, but few can say that the look of the MSI Wind Box DC110 is as unappealing as, or uglier than, the dull, blocky critters that nettops started out as, years ago. The Wind Box DC110 looks like a smooth, white box on a foot, a stand really, shaped like a very thin shoe, of sorts. That smooth shell hides a very power-efficient system configuration, based on an Intel Celeron 847 central processing unit (1.1 GHz ULV). A low-power dual-core chip with integrated graphics, it is backed by 2 GB of DDR3-1333 memory, although it is possible to use 4 GB too. A hard disk drive with a rotary speed of 5,400 RPM (rotations per minute) is used, and provides 320 GB of storage space. 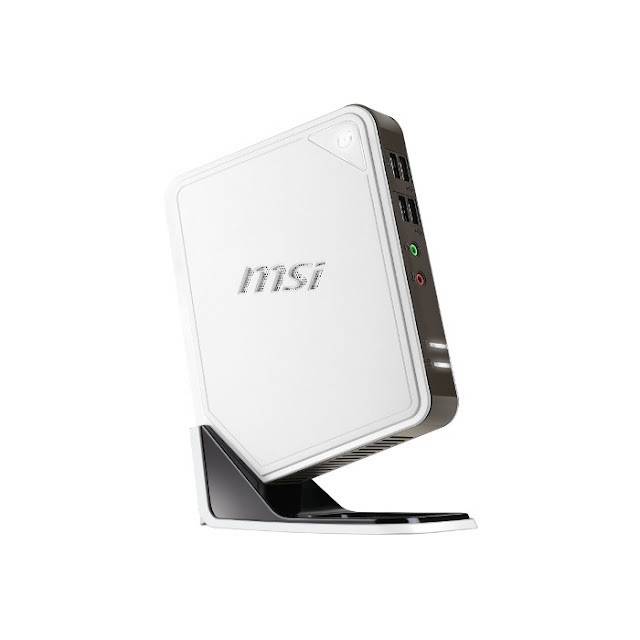 In addition to those components, the mini PC somehow includes Wi-Fi, USB 2.0 ports on the front (two), a card reader (also on the front), audio jacks (headphones, mic), a VGA output (back), HDMI (back), LAN, line-out, S/PDIF, and two more USB ports. Everything above fits inside a frame of 191.8 mm (W) x 150.93 mm (H) x 34.94 mm (D) / 7.55 x 5.94 x 1.37 inches. The total weight of the machine is 830 grams / 1.82 pounds. All in all, the specifications aren't bad for something capable of working on just 40W of electrical energy, less than half of a standard light bulb. Sales will start next week, for 279 Euro / $279-361. “The mini-PC is the space-saving solution for all computing tasks such as internet, email and office applications as well as TV, music, video and photo playback. The DC110 will be generally available in Europe before end of March,” the company says.